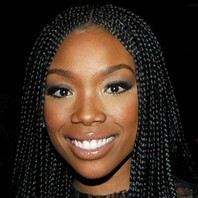 R&B, pop, and soul singer who gained fame by starring as the lead character on the TV series Moesha. In 1994, she released the #1 R&B singles "I Wanna Be Down" and "Baby." She began playing Chardonnay on the TV series The Game in 2012. How much is Brandy worth? If you don't stand for something, you fall for everything.